M.Tech admission is considering the post graduation degree which is pursuing after completing the under graduation in engineering. Based on the eligibility, the candidates will be allowed to be a part of M.Tech courses. M.Tech Admissions 2018 Entrance exams in both the private and government colleges across the nation will be held every year once for aspirants. Generally, the candidates who all are wanted to be a part of reputed colleges like IITs, NITs, IIITs and other institutions, you need to attend the GATE examination. It is the main rule followed by the candidates for a long time to take admission in government colleges for M.tech with GATE exams. Based on the eligibility score from GATE examination, the candidates will be selected for the respective field in M.Tech. So, it is always important for the candidates to attend the GATE examination before getting admission in the reputed colleges and government colleges across the nation. However, on the other side, some of the private institutions will conduct entrance test on their own. In this case, you don’t need to attend the GATE examination to get admission to M.Tech. 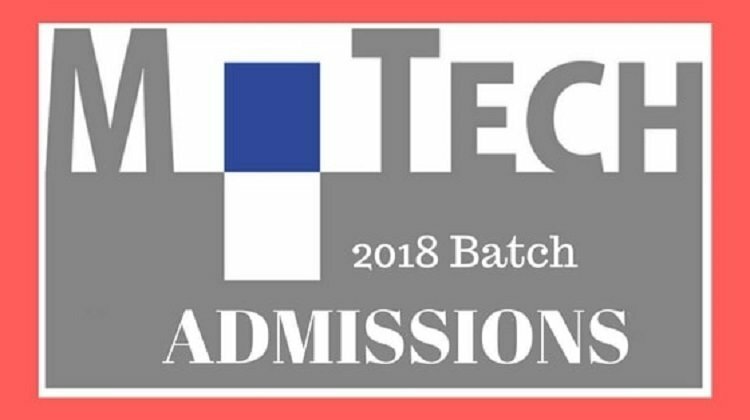 If you are looking for the MTECH Admission without Gate, then this is the only solution for you to follow. The candidates who all interested in applying for the M.Tech admission 2018 must be aware of the eligibility criteria. One should know that based on the eligibility criteria only the candidates will be allowed to get admission for MTech admission 2018 as per the rule. In this case, you don’t need to attend the GATE examination. It means you can directly get admission in M.Tech without Gate entrance exams in reputed private colleges and deemed universities. Also, the candidates who all are getting the eligibility score through the entrance examinations will be allowed to attend the admission process at many colleges. For admission in Private Engineering Colleges for M.Tech Courses, various other entrance exams you might apply for admission in M.Tech without writing Gate entrance exams. some of the others M.Tech Entrance exams are as follows. Students from all over India are eligible to apply for Karnataka PGCet entrance exams. Though students from the state quota get more preference still you can apply and try to score good marks to get admission in top m.tech colleges of Bangalore. SRMJEE PG entrance exams are conducted every year by SRM University for admission to SRM university campuses across India. There are lots of branches of engineering to study M.Tech in SRM university which you may like to join. TANCET entrance exams are conducted by Anna University for admission in m.tech colleges located in Chennai, Tamilnadu. For aspirants who want to join private colleges in Chennai can apply for TANCET. VITMEE entrance exams are conducted by VIT University, Vellore for admission in an m.tech program in VIT university campuses located across India. If you want to join M.Tech in Vit University then apply for VITMEE entrance exams. To get Admission In M.Tech without Gate you must apply for any of the entrance exams mentioned above. When it comes to the verification process, it is essential for the candidates to carry the original documents along with the entrance test eligibility score. Once it is verified, the candidates will get an admission as per the instruction. However, this is the main thing that is going to be conducted as a process when comes to Post Graduate Admissions. One must know that the candidates will get selected through GATE examination or with other entrance exam conducted in private institutes. This is the essential rule that is going to be conducted for M.Tech Admissions. So, the candidates who all are interested in getting M.Tech admission 2018 without gate can make use of this opportunity. For more details, you can visit the site of the institutions and follow as per the rule to apply for admission. In case, if you somehow fail to apply or attend these entrance exams, You can contact our admission consultancy for direct admission in m.tech in top private colleges. Our Engineering admission consultants will help you secure a valid seat in private universities and colleges without Gate entrance exams score. For admission in IIT’s, NIT’s and other government engineering colleges you must have a good score to get a confirmed seat in government colleges. For admission in Private Engineering colleges, you must apply for state level entrance exams for PostGraduate Engineering program admissions. Private colleges conduct their own examination for admission in m.tech programs. For admission to Deemed Engineering University, you must apply to the colleges through their respective websites and attend the entrance exams to get a seat in some of the top deemed engineering colleges. Also, you can get direct admission in m.tech without gate exams with the help of admission consultants. Before getting an admission in the private colleges, you should download an application form to fill and submit. When it comes to admission form, you need to fill all the required details and submit it on or before the last date ends. It is essential to know by all the candidates that who all are wanted to pursue M.Tech. Along with an application form, you need to add the required important documents like under graduation mark certificates. After the verification process is done, the candidates will get admission for the respective M.Tech course as per the college rule. If you follow all these guidelines you will get a secure seat in some of the top colleges for your desired m.tech engineering branch. How can i contact the admission consultants regarding M. Tech admissions in Chennai? For M.Tech Admission in Chennai, kindly contact us. How can I contact admission consultancies respecting Mtech admissions in Vijayawada? How can I get admission? I am B.tech civil Engg. Buy Premium Subscription plans for admission assistance. I am in the final sem of BE Mech Anna University. I am seeking admission in MTech SRM in Automotive Engineering, I have filled my application form and paid my fees too. How can I contact admission consultancies for Mtech admission in Maharashtra? How can I get M.E/M.Tech admissions without TANCET score in top colleges in Chennai? How can I contact the admission consultants regarding M. Tech admissions? Can I get admission in BITS Pilani for Mtech via management quata? How can I get admission in NIT. just passed out BE MECH? I’m a 2017 pass out from electronics and communication branch I want to pursue Mtech in VLSI stream. But I couldn’t apply for GATE /PGCET (Banglore) can u please suggest me where I can get management seat for pursuing Mtech in VLSI stream. How to contact admission consultant for mtech in Kerala? Our Kerala Agents will help you for the same, contact 8546881677 for the seat bookings. Help in taking admission in M.Tech without gate score. I’m a 2017 pass out from electronics and communication branch I want to pursue Mtech in VLSI stream. But I couldn’t apply for GATE/PGCET (Banglore) can u please suggest me where I can get management seat for pursuing Mtech in VLSI stream. Will get a seat in Private Universities of Bangalore without any entrance test. I’m 2017 pass out from ECE branch I want to pursue m.tech in VLSI stream. But I couldn’t apply gate can u plz suggest me where I can get management seat for VLSI stream. You can join VLSI MTECH Seat in Bangalore Karnataka through PGCET 2019 or Direct M.Tech Admission.